Volunteers are the heart and soul of every organization. The Eureka Institute has a variety of volunteer opportunities that can accommodate your interests and schedule . You can help us fulfill our mission by volunteering for one of our educational or recreational programs. 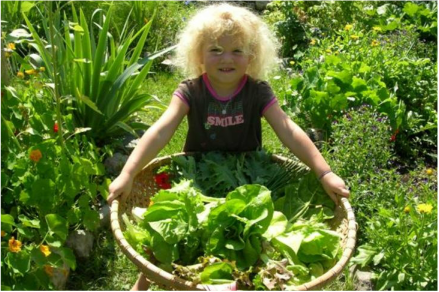 Gardening: The Eureka Center's garden ​is an invaluable amenity that serves a variety of uses most notably, providing food for program participants! Our ability to provide organic produce for events is largely dependent upon volunteers helping to prepare for and plant during the second week of May as well as maintenance and harvest through fall. Come play in the dirt with us! Kitchen: Go straight from our garden right into the kitchen! Volunteers have the amazing opportunity to work and learn beside some of the best cooks in the region. Our Garden House kitchen prepares and serves a multitude of feasts for large gatherings and events at our mountain retreat location. ​Marketing: Creativity is the key. If you have experience in social media, copy writing, graphic and web design or advertising, we welcome your help! Volunteers have played a key role in developing posters, brochures and other promotional materials for the Eureka Institute. ​Program Development: Teachers, instructors, expert professionals – we are always seeking volunteers to help develop new programs and improve upon our existing programs. Contact us to learn about our current opportunities in this area. Special Events: We are always in need of volunteers for our special events. From organizing, planning and setup to tear-down, admittance, cooking and cleanup, there is always room for hearts and hands willing to help. Other Interests: Have ideas? We want to hear from you. ​Please call us at 208-265-4000 or email us below.